A few years ago in the Philippines, 3 teenagers were somehow co-opted as part-time kayaking guides with us in Bohol. Derk, Jeremy, & Joel had quit school in their teens to cut nipah leaves to feed their family, to earn a meek income so that their sisters can do better than them in school. We offered work as firefly kayaking guides, we pay excellent per hour rate, so they were attracted to us as a “night shift” job. Having guided loyally with us, we thought it was time they go back to school. We decided to sponsor 3 of them for their 3 year University education. A big sum to work for, but they have done well in their 1st semester. 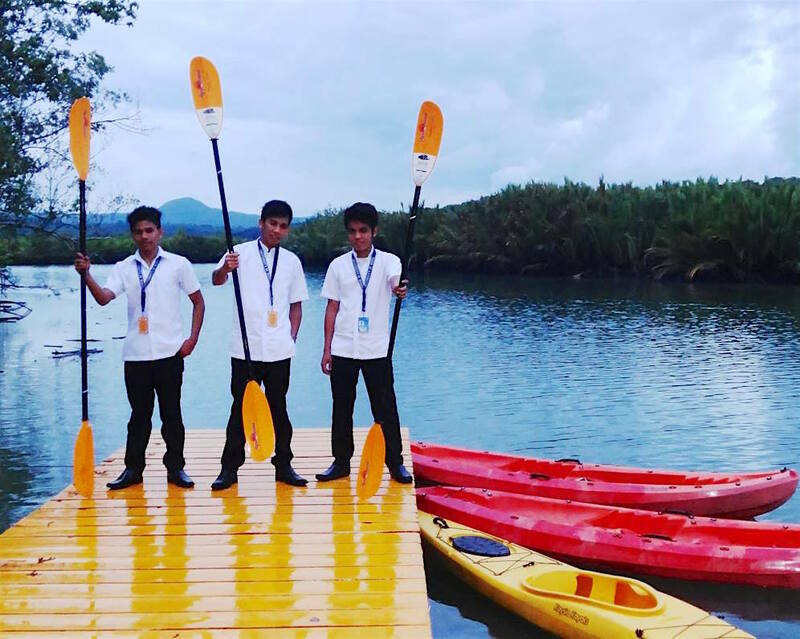 We hope they will continue to find satisfaction working as kayaking guides after they graduate!